Under the Leadership and guidance of the Lubavitcher Rebbe, Rabbi Menachem M. Schneerson, Chabad Lubavitch of Kensington is part of the worldwide Chabad Lubavitch movement. 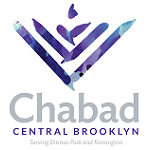 Chabad Lubavitch of Kensington (Chabad) was established in 1993 and is dedicated to increasing the awareness, knowledge and observance of Judaism, within Kensington, Brooklyn, and its surrounding neighborhoods. The word Lubavitch is the name of the town in White Russia where the movement was based for more than a century. Appropriately, in Russian, the word Lubavitch means “city of brotherly love.” The name Lubavitch conveys the essence of the responsibility and love engendered by the Chabad philosophy toward every single Jew. Following its inception 250 years ago, the Chabad-Lubavitch movement - a branch of Hasidism - grew throughout Russia and spread to surrounding countries. It provided Jewish scholars with answers that eluded them, and all Jews, with a love that had been seemingly denied them. Eventually the philosophy of Chabad-Lubavitch and its adherents reached almost every corner of the world impacting every facet of Jewish life. Chabad Lubavitch of Kensington is part of more than 4,500 outreach and educational centers serving world Jewry and the broader community. Chabad provides spiritual and Jewish academic leadership in an open, accessible way for all people. It is open to all Jews, regardless of how orthodox they may or may not be. Chabad has a completely "open door" policy - there is no membership fees for attending High Holy Days (Rosh Hashanah and Yom Kippur) or any services or programs. Many of our programs are free of charge or offered at reduced fees for those people facing financial challenges. Chabad Lubavitch of Kensington is a focal point for Jewish education and Jewish continuity, but more importantly, it provides the opportunity to experience first-hand the vitality and relevance of Judaism as it is lived today. Participants experience the joy and celebration, the intimacy and compassion, the wisdom and knowledge that is inherent in Jewish life and learning. Chabad Lubavitch of Kensington is a full service organization responding to both the material and spiritual needs of the Kensington Jewish community. Through programs, classes, counseling, celebrations and worship, Chabad Lubavitch of Kensington uses every tool to bring the message of Judaism to children, teens, adults and seniors. Chabad Lubavitch of Kensington is an energetic, effective and essential adversary to the forces of assimilation and intermarriage that threaten the Jewish community. To this end, through its many community and outreach programs, it has touched the lives of thousands of Jews. Now, Chabad Lubavitch of Kensington is expanding its efforts even further. The goal is to touch thousands more members of our community. In a manner that is simultaneously intellectual and intimate, Chabad Lubavitch of Kensington addresses all facets of Judaism from the rational, everyday aspects of physical existence to the emotional and mystical core of religious experience.